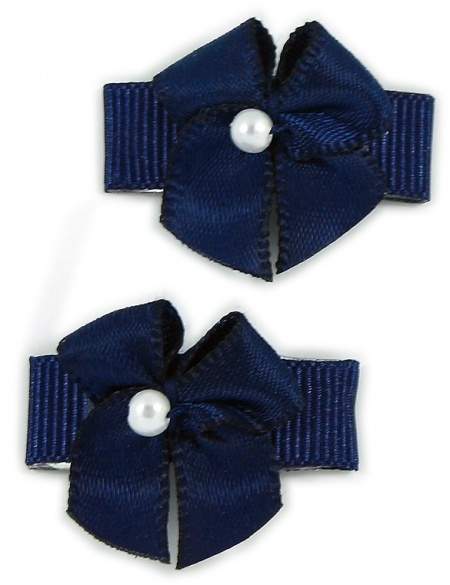 Navy bow with snap clips that is especially designed for baby with little or fine hairs. Decorated with a centre bead. Come in a pair.